Passed away January 13, 2019 at the age of 94. Loving spouse of the late Joanna (Buecken) Boyett. He is survived by his loving children Petronella (Nelly) Crawford (the late Glen), Maria Niedringhaus (the late Ned), Frank VandeWaarsenburg (Victoria), Betty Ponzer, John VandeWaarsenburg (Kimberly), and Louis VandeWaarsenburg. Dear grandfather of Matthew, Luke, Adam, Amanda, Brittany, Glen, Scott, Eric, Robert, Christina, Richard, Bryan, Raymond, Shaun, and Casey. Beloved great grandfather and great great grandfather. Dear brother of Maria Verhaeg (the late John), Annie VandeWaarsenburg, Antonia (Matthew) Meens, Jacobus Ploumen (the late Johan). Louis is preceded in death by his parents Johannes & Maria (nee Heyenrath) VandeWaarsenburg, his spouse and several siblings. Dear uncle and friend to many. Louis attended the St. Peter's Lutheran Church in Spanish Lake. He was a avid card player. 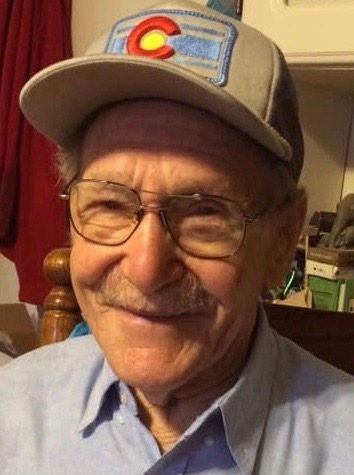 Louis also enjoyed fishing, playing pool, training homing pigeons, working, gardening, loved birthday parties and was a St. Louis Cardinals fan. Louis never met a stranger and was full of entertaining stories. VISITATION: Friday, January 18, 2019 St. Peter's Lutheran Church 1120 Trampe Avenue, Spanish Lake, MO 63138 from 12-2 p.m. until time of service at 2 p.m.